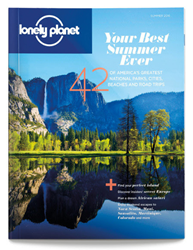 Lonely Planet magazine releases its Summer 2016 issue this week. The latest issue of Lonely Planet magazine – the new publication from leading travel media company Lonely Planet – hits newsstands this week. The magazine, which was introduced by Lonely Planet in November 2015 and marked the brand’s largest magazine launch to-date, was recently shortlisted for the New Magazine category in min’s Magazine Media Awards. Winners will be announced June 15th, 2016. The Summer 2016 issue, ‘Your Best Summer Ever,’ features Yosemite National Park on its cover and spotlights 10 parks from Lonely Planet's new photo guide, National Parks of America ($29.99), in a six-page spread celebrating the National Park Service centennial this year. In the ‘What to Eat’ section, Editor Lauren Finney interviews recent James Beard award-winning chef Alon Shaya about his modern Israeli restaurant in New Orleans. ‘Amazing Places to Stay’ features the best destinations to get away and unplug, including lodgings in Hana, Hawaii; Marfa, Texas; Jamaica; Belize; British Columbia and Chebeague Island; Maine. In a new feature, ‘Concierge Secrets: Europe,' six concierges from Europe’s trendiest hotels share their favorite places to eat, drink, explore and relax, including a secret speakeasy in Rome, a scenic Barcelona mountaintop and more, and ‘Easy Trips’ offers ideas for quick summer escapes, like Nova Scotia; Martinique; Portland, Oregon; Finger Lakes, New York and Estes Park, Colorado. Also in this issue: how to make the most of your extended layover (i.e. stopover), the best summer gear for any kind of trip, the top five places with festivals and special events happening this season and an in-depth tour through Quebec. 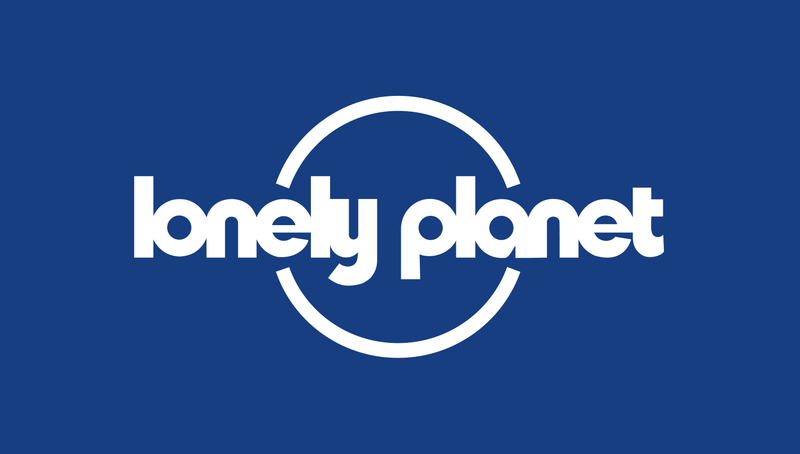 Lonely Planet magazine encourages readers to explore and seek new experiences wherever they go, whether it’s their own backyard or a far-flung corner of the world. Every issue offers fresh travel inspiration and ideas, practical tips and advice, travel gear, pullout pocket guides to key destinations and more.